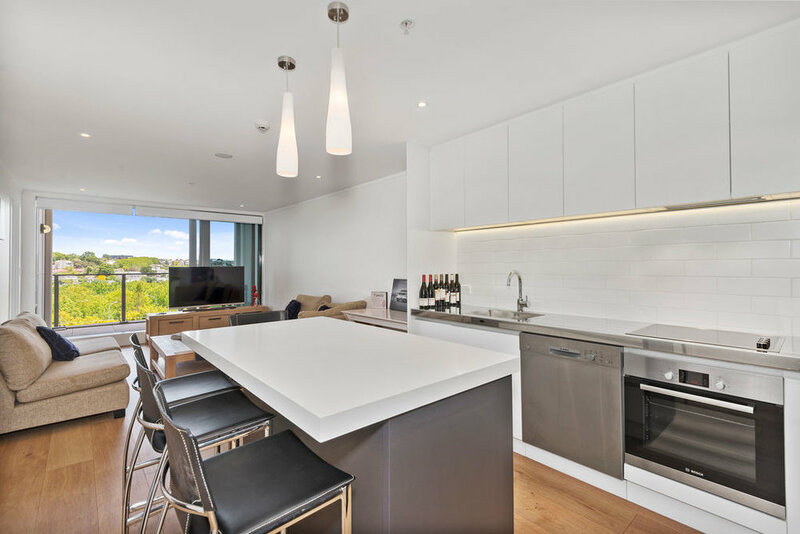 Completed in April 2015, the Sugartree apartments are modern and fresh combining retail space on the ground floor with residential apartments on top. The apartment on offer is 69sqm, with a green Westerly outlook over the leafy suburb of Freemans bay. Two bedrooms, one bathroom and one secure car park make up this arrangement, and with modern, contemporary feel you'll find the value hard to beat if considering buying brand new elsewhere. A top quality tenant paying $680 per week is on a fixed term until November 2017, so this won't suit someone who wanting to move in immediately, however it will suit an investor or someone who isn't quite ready to move in, but willing to take over the rental income. The freehold Sugartree complex at 27 Union Street is conveniently positioned at the top of Nelson Street and on the border of Ponsonby with immediate access to all motorway directions.